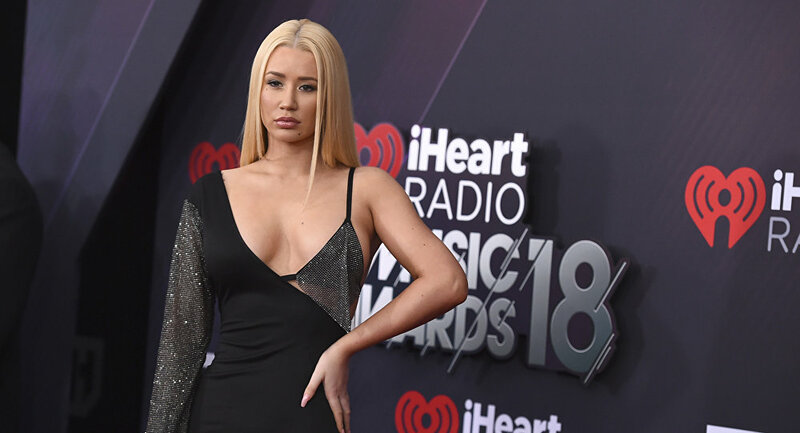 Australian hip-hop performer Iggy Azalea has published a series of beach shots to her Instagram page, sending fans into a wild frenzy. The 27-year-old singer posted a photo of herself posing near a pool in a tiny beige bikini, revealing her underboob. Iggy’s sizzling hour-glass figure has always excited her fans, and her photos get thousands of likes. The recent bikini snap is no exception, as her fans have showered her with compliments. “I want the same body as yours, what is your diet and work out regime?” one fan wrote. Iggy Azalea is not the first celebrity to recently post photos of her underboob. In April, a new trend called #underboob was noticed among the rich and famous. The tendency to deliberately show off underboobs was first noticed at the California music festival Coachella, as well as at celebrity parties and social networks. In May, Azalea published a photo in her underwear, and fans couldn’t recognize the singer. Fans were shocked by how much Iggy’s face had changed, if you compare it with her previous photos. "Damn, you have changed!" Looking so good!” one fan wrote.